I wanted to do a post in celebration of my great grandfather William Lewis Harrop’s birthday. William was the fifth and last child born to parents Lewis Harrop and Anna Eliza Stickle. William was born in the 25 of September in 1854, in Etobicoke, Ontario. The Harrop family had moved from New York sometime between 1843-1849, where their first three children were born. In Etobicoke, the Harrop’s were farmers on land they rented. The father Lewis died in 1860 and was buried at St.-George’s-on-the-Hill Cemetery which is now located in the city of Toronto. Anna Eliza along with her youngest children, William, Robert, Elizabeth and Mary relocated to Orangeville. Her oldest child Benjamin was married in 1856, and had moved to Chinguacousy, Peel Co., Ontario where he farmed. In 1871, according to the Canadian census, my great grandfather William Lewis Harrop is living with the McKim family and working as a butcher’s apprentice. With land opening up in the west William makes a move to the Qu’ Appelle District of Assiniboine which later becomes the province of Saskatchewan. About 1895 he took out an ad with a matrimonial agency and he struck up a correspondence with his future wife Isabella (Sherrill) Cornelius a widow from North Carolina. They were married about 1896 and Isabella moved with her daughter Flora Bell to rural Saskatchewan. The marriage was not long-lasting, William was widowed by 1904. Isabelle’s daughter Flora went back to North Carolina, leaving her mother behind in the Indian Head Cemetery. William may have used the same agency to find his second wife, Rachel Hodgins who was from Huntley, Carleton Co., Ontario. They were married in Balcarres, Saskatchewan in 1907 and settled into life on William’s already well-established farm located on Sec 1 – 21-12-W2 in Balcarres. Three children were born to them over the next five years and the farm continued to prosper. The start of the depression hit the farm hard, coupled with the death of William in 1932, the Harrop family lost the farm that William had worked so hard to establish. Rachel his wife moved to Binscarth, Mantiboa where she died in 1950. The children all moved to different locations, son Walter to Whitewood in Saskatchewan, Dorothy also to Binscarth and Wilma moved to Alberta. The Harrop family with unknown people. Back row ?, Walter & William Harrop. Front row Dorothy, ?, Wilma & Rachel c. 1920 probably taken at Balcarres, Saskatchewan. Rachel Margaret Hodgins was born on Dec. 3, 1870 in Huntley, Carleton Co., Ontario to parents Rachel Mordy and William W. Hodgins. On the 1871 census Rachel was enumerated at the age of 4 months and was surrounded by Hodgins families. Rachel’s grandparents and many of her father’s siblings are listed next door on the census. Living close by, and appearing below them on the census is William’s brother Henry Hodgins. The Hodgins family is quite an old family to the Huntley area. They were one of the first settlers to arrive after the war of 1812. Thomas Hodgins, Rachel’s great grandfather was said to have been a soldier in 1812 (another research project for another day). Thomas had 4 children with his first wife and then married again and had 11 more children. There are Hodgins relatives everywhere! But back to the story of Rachel. Rachel welcomed a sister and then a brother before her mother died in childbed when she was 9 years old. As many widows with young children, Rachel’s father looked to remarry and quickly, as his youngest child William was only 2. Less than a year after his wife’s death William married Caroline Jordan who was 30 years his junior and they lived in Torbolton, Ontario. Similar to his grandfather William went on to have 9 more children with his second wife. It’s funny how I do not know many stories about this family, but one that I did hear was that the children of the first marriage did not stay long in the home and they moved and became house maids or labourers to neighbors in the area. An indication of this is in the 1881 census as none of Rachel’s older siblings are living in the house. Rachel is not living in her father’s home in the 1891 census and in 1901 I can find Rachel Hodgins living in Ottawa and a servant to William Parris who was a brewer. I do not know if this is my Rachel as she has a different birth date according to the census. 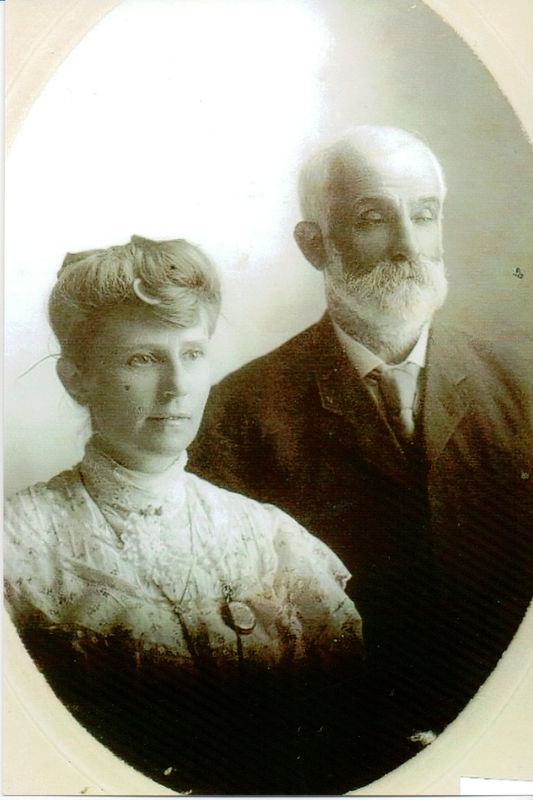 Rachel was married to William Harrop Feb. 7, 1907 when she was 37 years old and he was 16 years her senior. Rachel worked very hard on the family farm located in Balcarres, Saskatchewan and she welcomed three children into the world. Their farm was large and William proved to be a good provider. In 1932, William passed away and the Great Depression hit the Harrop farm hard. 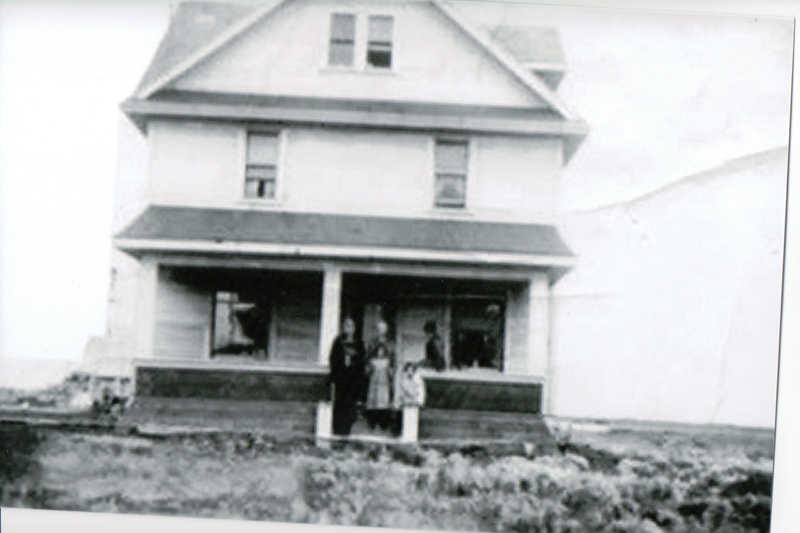 The farm was taken away from the family shortly after his death and Rachel lived with her daughter Dorothy until her passing in 1950 in Binscarth, Manitoba. Rachel (Hodgins) Harrop is my great grandmother and one of my fearless female.